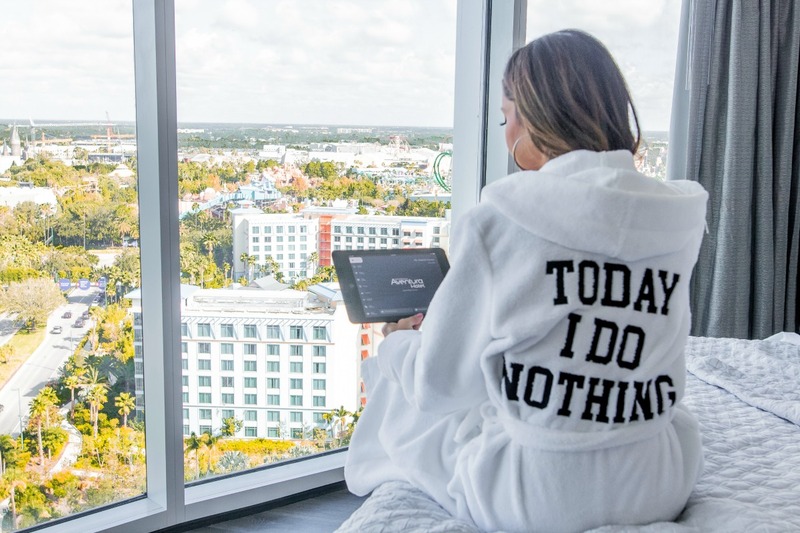 Universal Orlando Resort recently invited me to experience their newest addition, Universal’s Aventura Hotel. This hotel is perfect for the budget traveler. 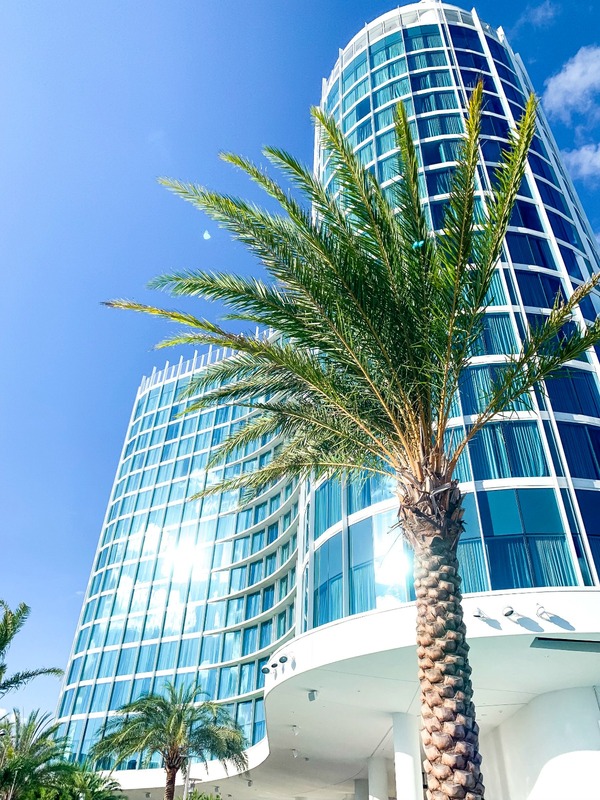 The 17 floor glass tower is modern and sleek and has everything you may need during your visit, from Starbucks in the lobby to an amazing rooftop bar and even a Virtual Reality Game Room. Room: The guest rooms are very spacious with modern decoration. 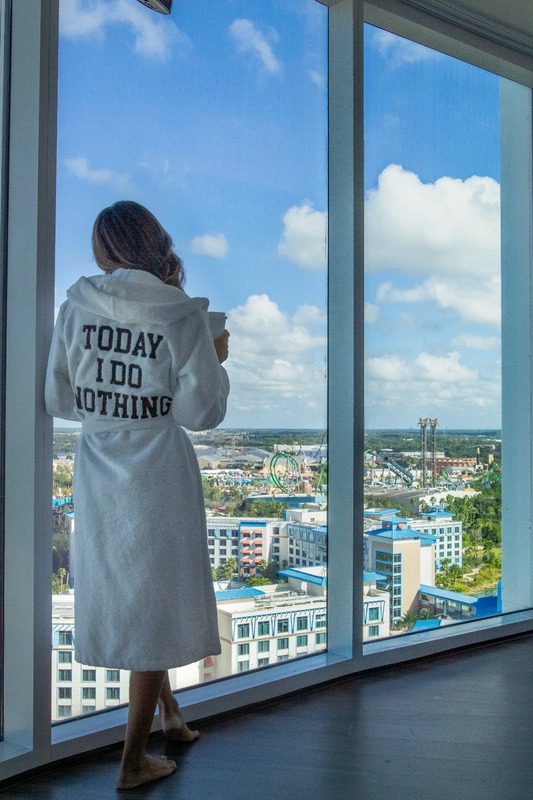 With windows from floor to ceiling, you can see the amusement parks and other Universal Hotels from your room. Also all rooms come with an iPad that controls everything from lighting to room climate and television programming, all at your fingertips. Food: Bar 17 Bistro on the rooftop offers custom-crafted cocktails designed to pair with the urban international flavors on their menu. 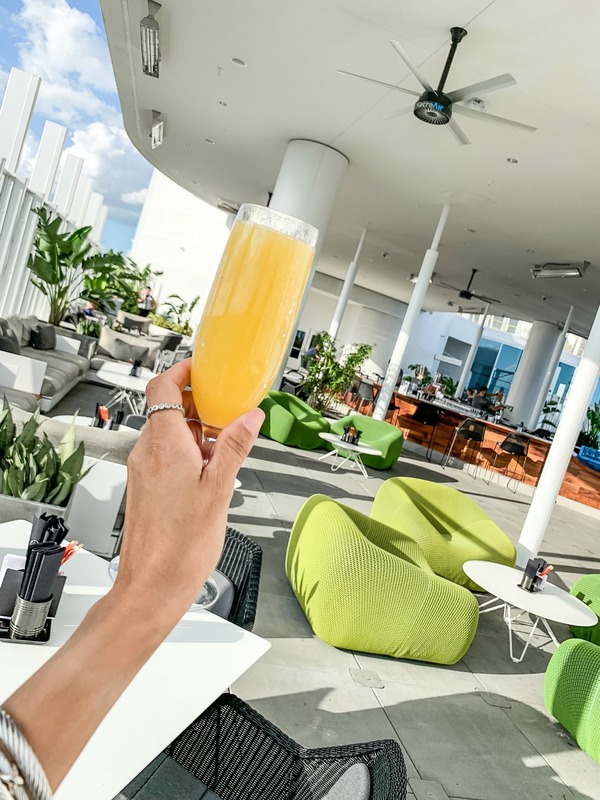 It is the perfect place to grab a drink and relax & enjoy the beautiful 360 views. 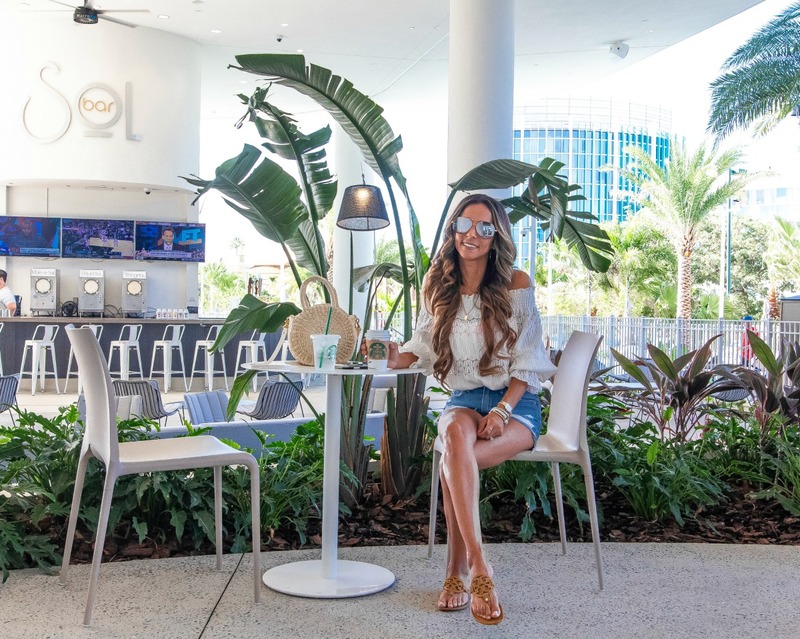 Urban Pantry is great to grab a burger or pizza made right in front of you and if you’re relaxing pool side, a drink from Bar Sol is a must as well. Bar Ventura is located in the lobby, to grab a drink before dinner, and last but not least is Starbucks, located in the lobby too. 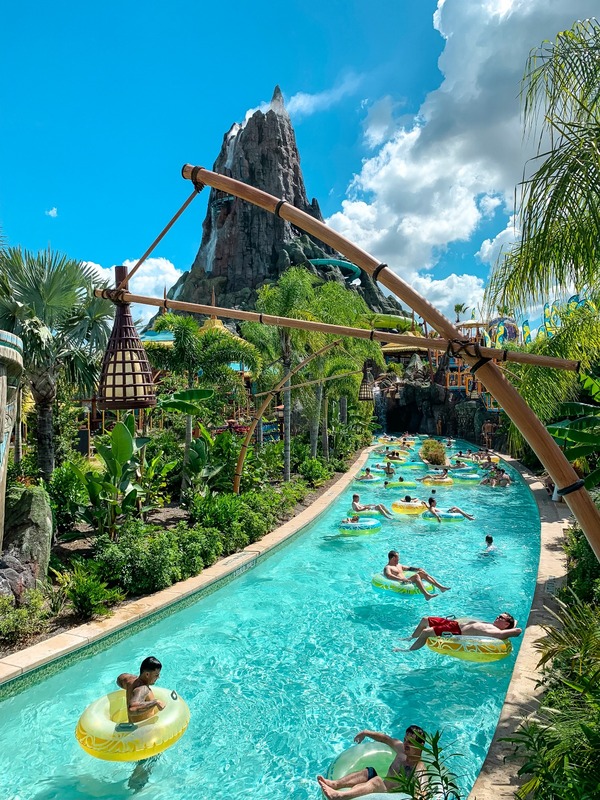 Pool: The pool was small but perfect for a quick cool down before heading to the parks, because it was hot, hot, hot on my visit! 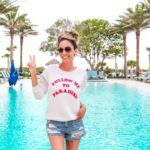 Orlando didn’t participate in Fall this year as we are still in the high 80’s now in November as i write this. If you don’t like a small pool, no worries! 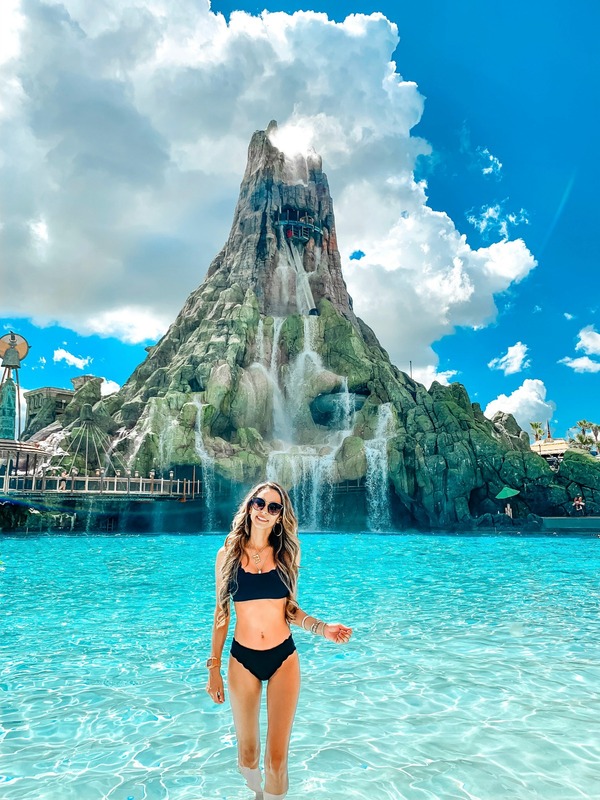 Volcano Bay is just a quick 3 minute walk from the property and I must admit I’m obsessed! 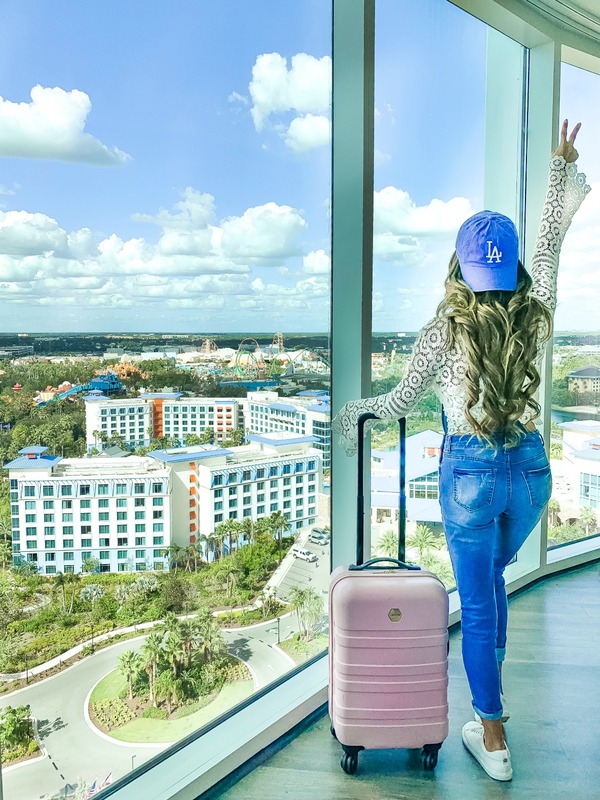 Transportation: Universal’s Aventura Hotel is just a 5 minute ride to the Universal Orlando Resort theme parks. 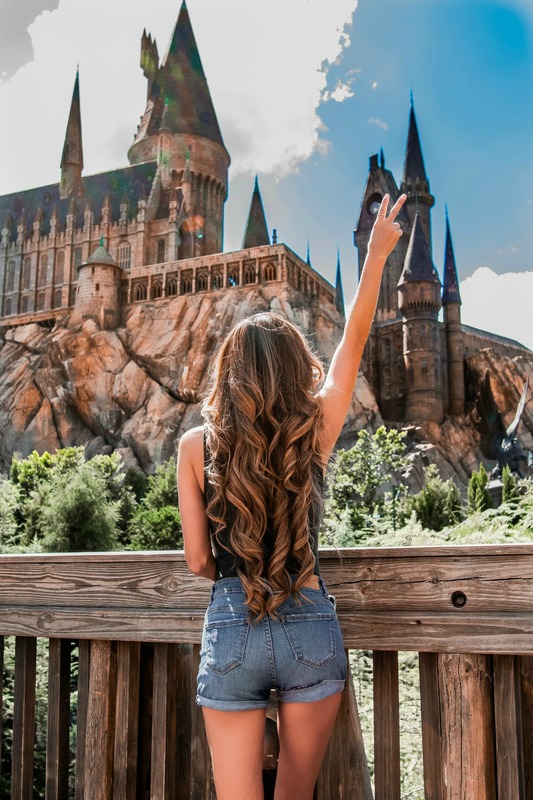 Bus transportation is provided to Universal CityWalk, where you can access both Universal Studios Florida and Universal’s Islands of Adventure. 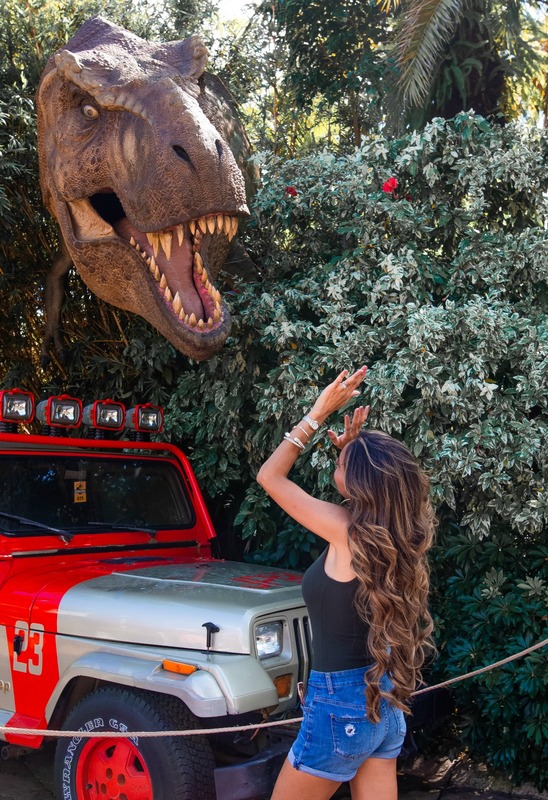 Hotel Perks: If you stay at Universal Orlando Resort, you get exclusive early park admission to the theme parks, complimentary on-site transportation and resort-wide charging privileges. 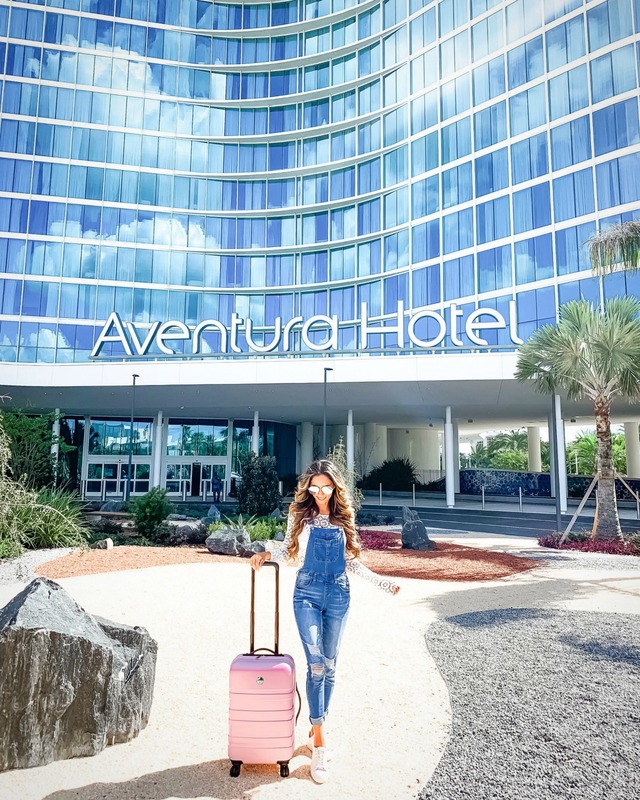 Summary: If you’re a budget traveler heading to Orlando who is looking for a modern environment property with fast amusement park access and plenty of spots to grab a drink, then Universal’s Aventura Hotel might just be the spot for you! 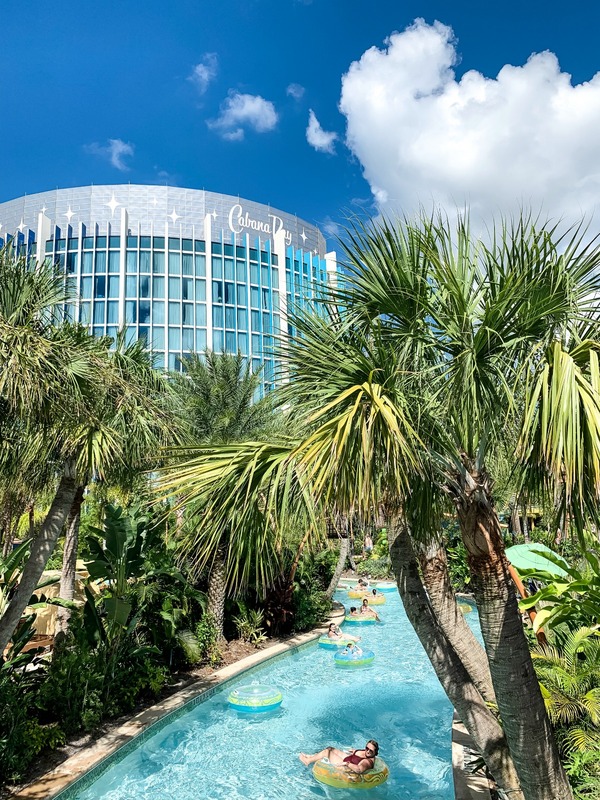 Don’t forget to head up to the roof if you stop by … the views are some of the best in Orlando!